The SPs and DOW closed back above their 5 SMA, after a quick rally off the opening price. Though the market never traded below the opening after a gap up, the gains were made early and the market spent the rest of the time filling out range. It may well continue to do so until the ECB meeting is out of the way Thursday morning. There are also the FOMC minutes due out Wednesday afternoon. Ticks had an inside range day and the summation tick is neutral. Once again, the market remains between two critical points – will it try for a further retest up, or, if it takes out the two day low, the weeklies can bring in some profit taking. This question may wait till the end of the week. In the meantime, RS leadership shifted back to the big cap blue chips with range expansion up in shares like IBM. The DOW is within striking distance of new all time highs. V is holding its gains, BA has good upside momentum, etc.etc. Bonds – Sell Short day after two days low to high. They have traded back to their daily EMA as well. Bunds – sell short day – watch for a retrace back to the 60/120 minute EMA where support should come in. 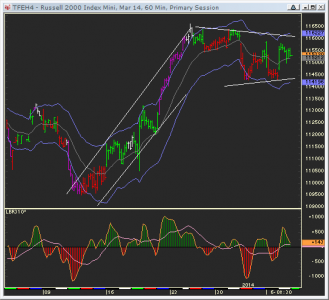 GC , EC, JY, BP, – 3 bar triangle breakout (also shows up as coil on 120 minute….) Will they have range expansion before ECB or after? The market might wait. 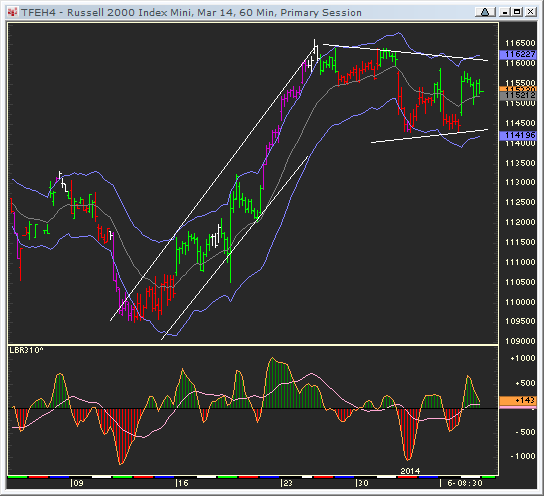 CD did not wait as it had a downside breakout from large daily chart formation. Cows – buy morning weakness if push below 5 SMA; Wheat – Buy day after two days high to low. Copper – hit daily EMA two days ago, technically on a rare daily Grail buy. Indexes have been unusually choppy with erratic tick action – This can be due to the start of trading at the beginning of the year, consolidation of a big move up in December, and market participants waiting till FOMC minutes and ECB are out of the way.